Pandawa Beach formerly renowned as Secret Beach, has a stunning panorama combined with quiet atmosphere. This seafront offer a flat-type beach, white thick sandy and clean beach that suitable for sightseeing, sunbathing, and swimming. Entering the beach, visitor will be amazed with the scenery of high cliff flanking the road combined with the turquoise sea as the backdrop, truly awesome scenery! 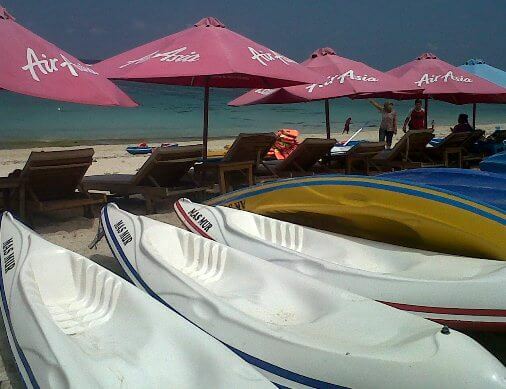 Let's take a closer look to the Pandawa Beach! 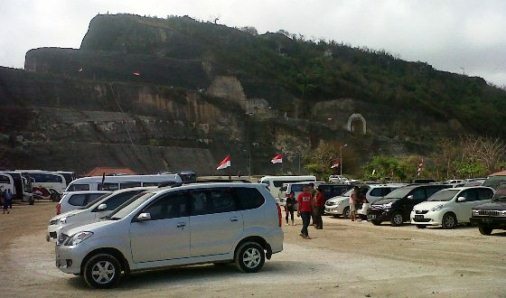 Before the Local Government of Badung Regency manage this beach as a new tourist spot, this beach has a difficult access and surrounded by the high limestone cliffs. The beach is located on the deep valley and visitor mus go through a small step down on the cliffs, very dangerous. Locals use this route to do their daily job as fishermen and seaweed farmer. Now, visitor can access the beach more convenient using any vehicles and done many activity on the beach. The water is shallow and safe for swimming. Visitor can order drink and local food at food stall lined along the coast. Visitor can take a time to relax, sightseeing along the paving block footpaths, or sit on chair under red umbrella with beer in hand and beautiful beach scenery in sight. The beach offers a unique location for a pre wedding photoshoot. The huge and towering limestone cliffs as a backdrop and framed by the sky and turquoise sea. In addition, the presence of the statue of Panca Pandawa also gives a distinctive value on your photos. The Mahabarata epics has inspired Balinese People and the culture. Panca Pandawa of Mahabarata epics consisted of Yudistira, Bima, Arjuna, Nakula and Sahadewa. This great photo spot will give an epic impression on your pre wedding photoshoot. 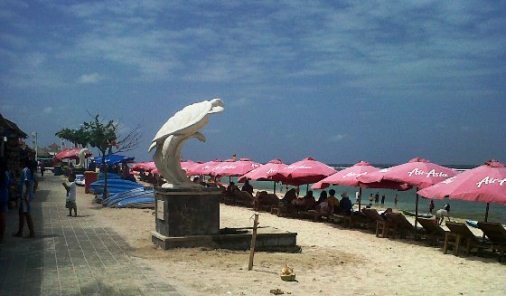 The beach is located in Kutuh Village, the District of Kuta Selatan, Badung Regency, Bali. This beach location is about 8 Kilometers from Garuda Wisnu Kencana or GWK (20 minutes), 15 kilometer from Uluwatu Temple (30 Minutes) and 17 kilometers from International Ngurah Rai Airport (35-40 Minutes). Since launched as a tourist destination, this beautiful beach keep attracting visitor, domestic and international, each year. This situation give an impact on local economic growth especially in Kutuh Village. On the way down to the beach before the parking lot, there are several cave carved on the limestone cliff and become a place for the Panca Pandawa statue. The surfer can enjoy their surfing adventure with the clear wave on Pandawa Beach. The best time for surfing here is in the morning (sun-rise). The waves are large enough with sunny conditions and mild offshore winds. Surfer need to consider the condition of the beach with sharp coral and a little bit challenging. The beach also offers an amazing flat-type beach, white thick sandy and clean beach that suitable for sightseeing, sunbathing, swimming and kayak. Entering this beach visitors will be amazed with the scenery of high cliff flanking the road fused with turquoise beach in the deep of valley. A golden sandy beach under the Red Umbrella such a perfect place for retreat. Truly amazing and worth visiting. 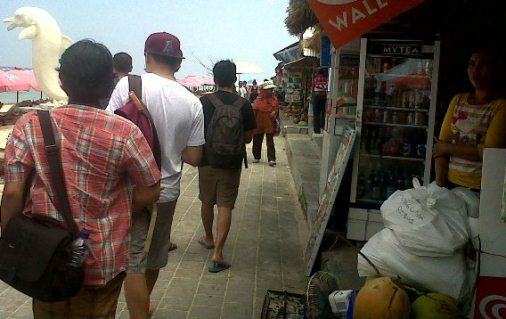 Take your time to travel to Pandawa Beach Kutuh Bali, hopefully helpful and thank you!